Almost every college or university student across the country has begun class. The first week of classes is probably the least stressful week, but it is still very annoying, that never changes. Your level of preparation and apathy, however, does change from your first week of class as a freshman to your first week as a senior. What's pretty universal around college campuses is a love for syllabus week. With professors starting with introductions and reading from a predistribution syllabus, paying attention in class is not really necessary. 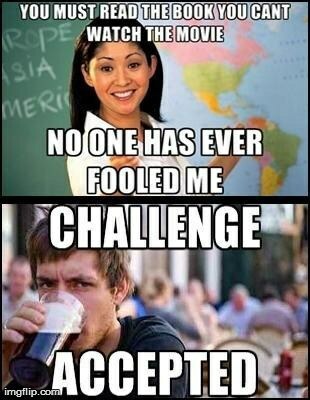 There's also rarely homework, a college kid's dream. So, here's to syllabus weeks all over the country once again coming to an end. The difference between freshman syllabus week and seniors. 1. Freshman: "First day, gotta be prepared...notebooks, pens, planner, folders..."
Senior: "Class? 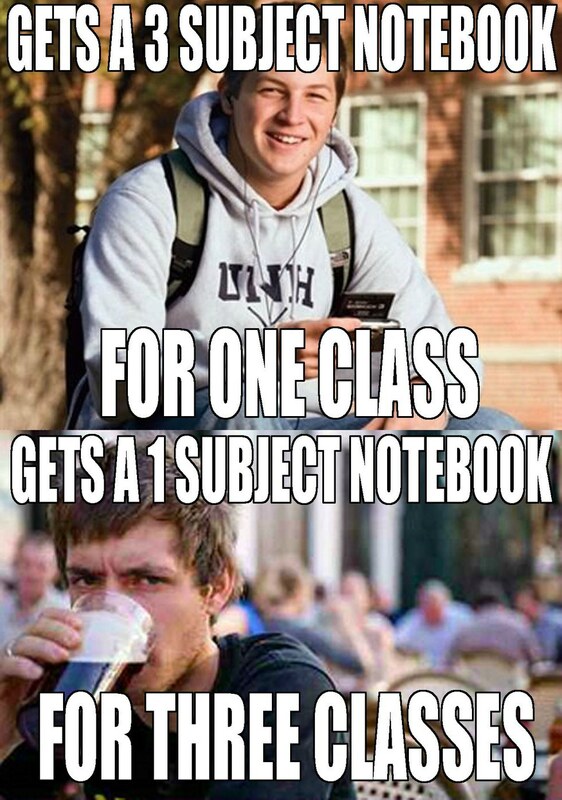 Oh, maybe I should buy a notebook"
Professors are lucky if seniors remember what time their classes are. Having books and pens are bonuses. 2. Freshman: "Need to get plenty of sleep for the first day"
Senior:. "I can still make it to class if I get home at 4AM"
For seniors, sometimes syllabus week is the only acceptable time to go out on a Tuesday without feeling like a failure. 3. Freshman: "Omg, that professor sounds thought"
Seniors know that professors normally give you their best stern impression on the first day. 4. "Who has the textbook?" 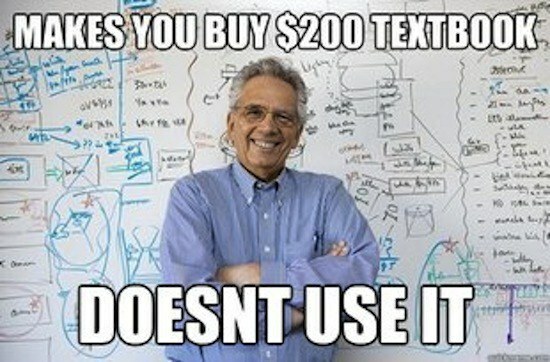 Seniors have done this before. They know just how long you can put off buying textbooks before it's too long.. They'll rarely have books on the first day of classes. 5. Freshman: "Yay, the first week is over!" Senior: "Damn, now I need to actually participate"
The end of syllabus week is a certain death for seniors. Staying out until 2 AM on Wednesdays and ignoring all responsibilities must come to an end...unfortunately. 6. Freshman: "Homework on the first day?!" Senior: "So, it's gonna be like that this semester?" Unfortunately, syllabus week is pretty carefree...until that one professor assigns the first hmework assignment. That is when you realize that it is all downhill from there. 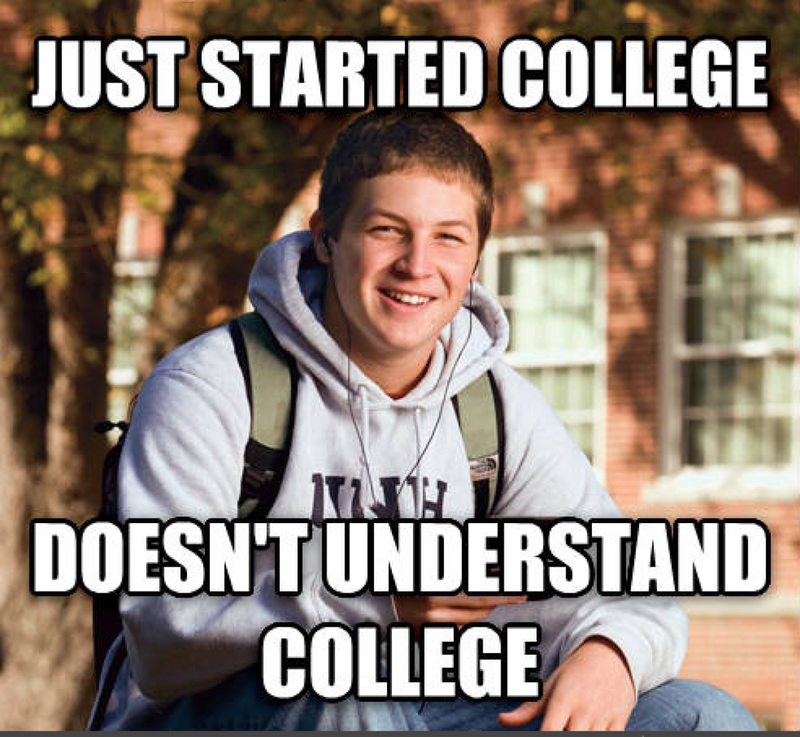 There are so many differences between being a freshman in college vs. being a senior in college. 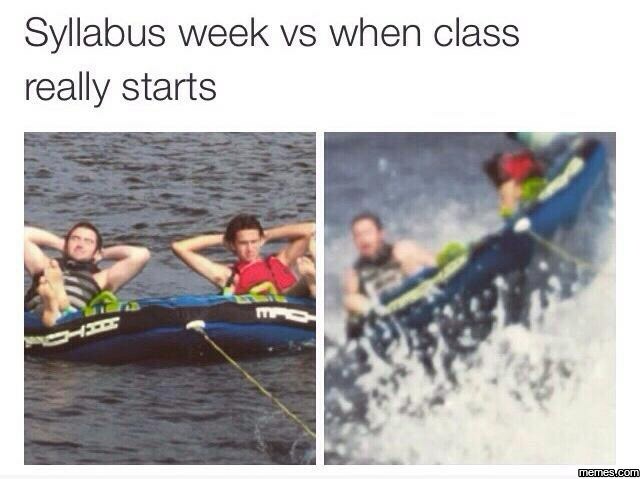 Syllabus week is just one of the many differences. For many, it can be the perfect excuse to ignore all responsibilities and just wait until the following week to start taking them on. For freshmen, it's the first week of their first college classes, so the stress has already begun. Either way, if you're a senior or a freshman...hope you enjoyed your syllabus week.